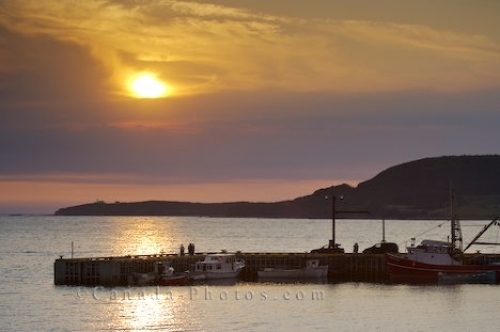 A beautiful sunset fills the sky above the Rocky Harbour Marina in the foreground and the Lobster Cove Lighthouse located on the point in the background. This Newfoundland marina is on the small size but is ample for the size of the town. People that come in from a day of fishing during sunset, will take the time to enjoy the pastel colours of the sky as the sun nears its bed time. Picture of the Rocky Harbour Marina in Newfoundland, Canada with soft hues blanketing the sky at sunset.